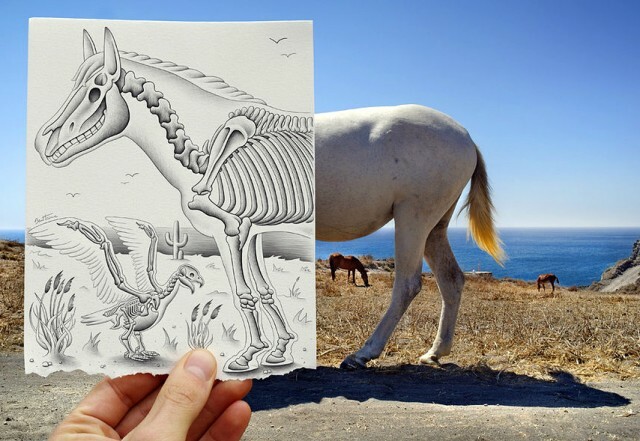 Pencil vs. 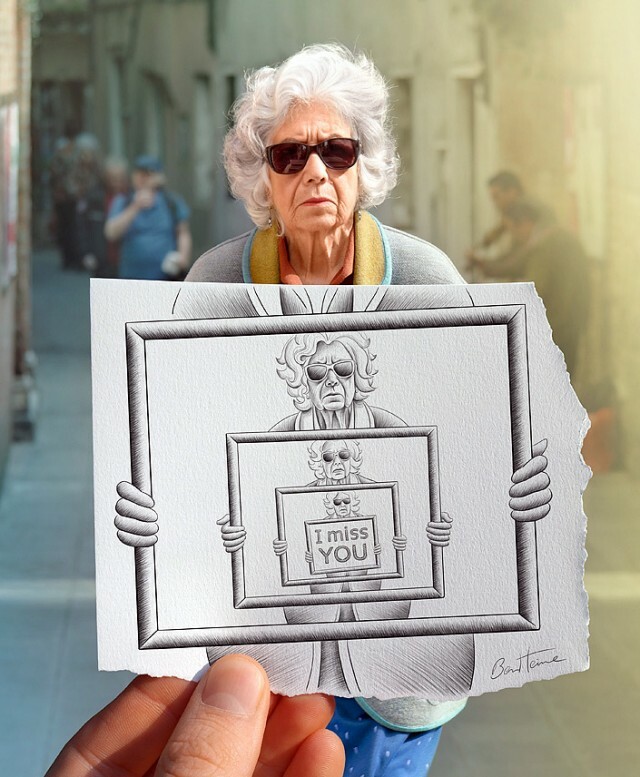 Camera is a creative and wonderful mix of photography and illustration, so tightly wound that it is hard to imagine the picture being without either media. 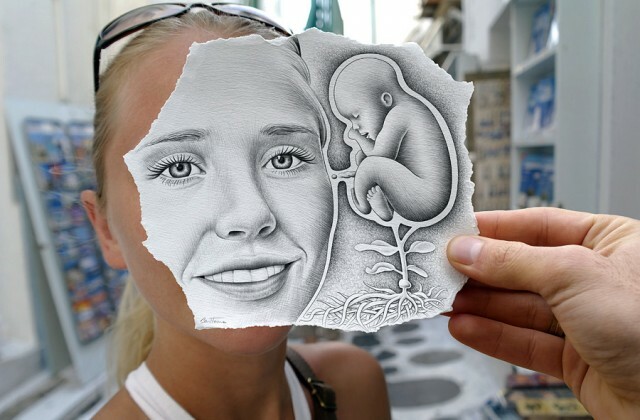 They are a beautiful meld of two forms of art. 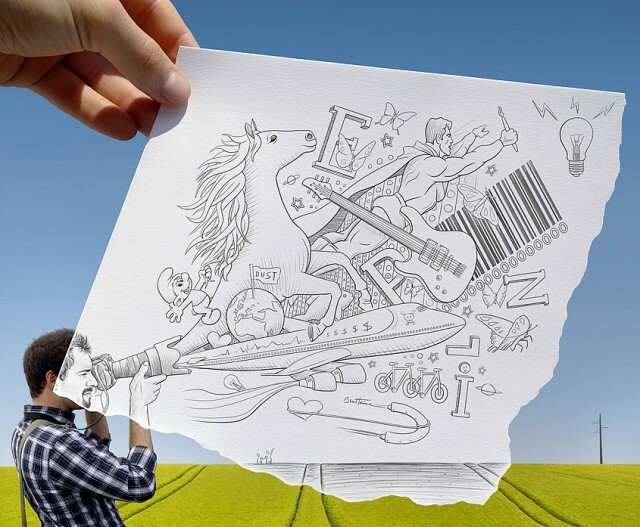 Ben Heine (link at bottom) is the artistic genius behind the new and fresh idea. 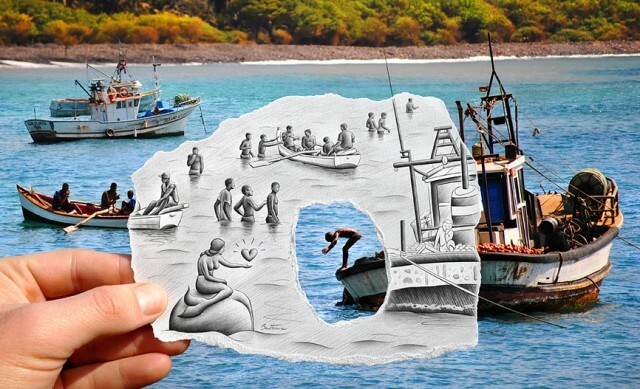 It is not only a blend of photos and drawing, but also of illusion and surrealism. The artist uses the concept of illustrating on paper an image in front of the photograph in the background. 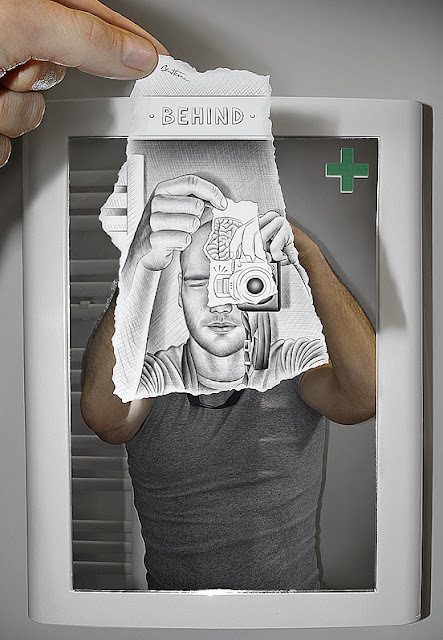 What is also nice is the fact the Ben’s hand is always holding the paper, giving a sense of the artist’s presence in an otherwise surreal scene. 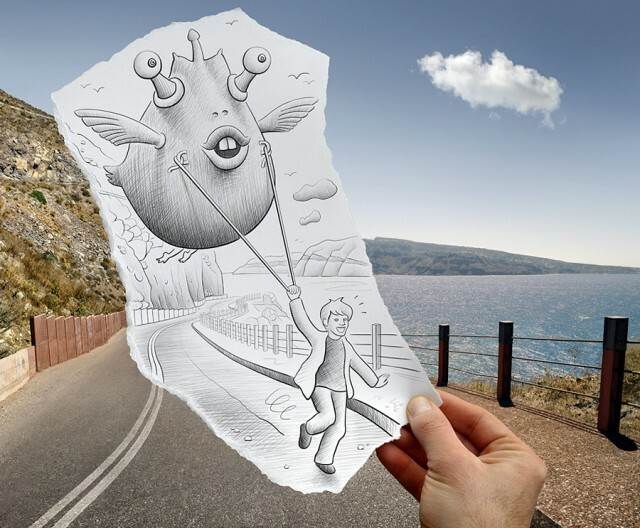 Pencil sketches leave a grey tonal image which contrasts with the colorful photograph providing more intense division between the two. 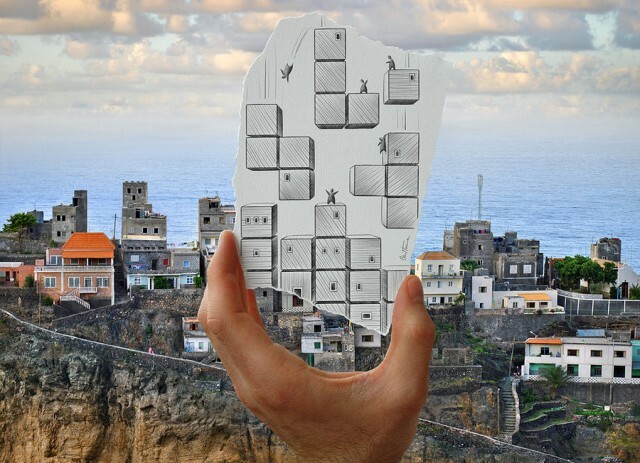 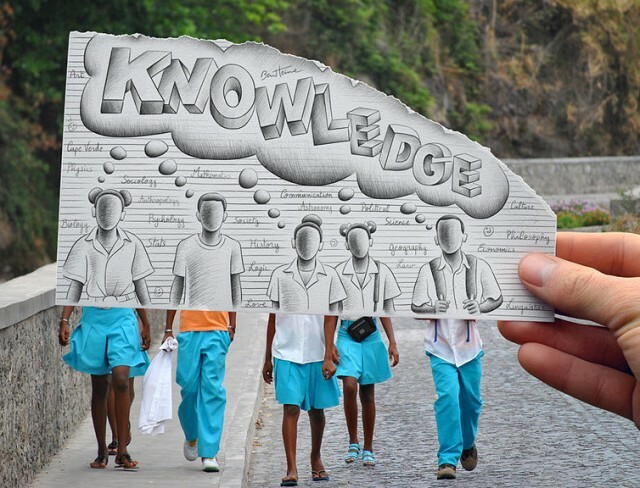 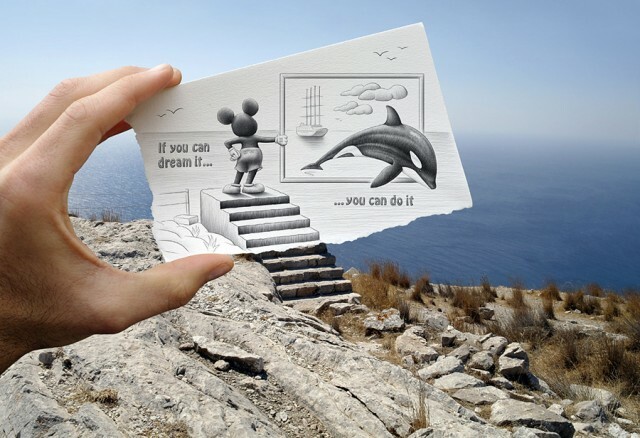 Ben Heine let’s his creative freedom travel as he doesn’t limit the subject of his illustration/photography mash up. 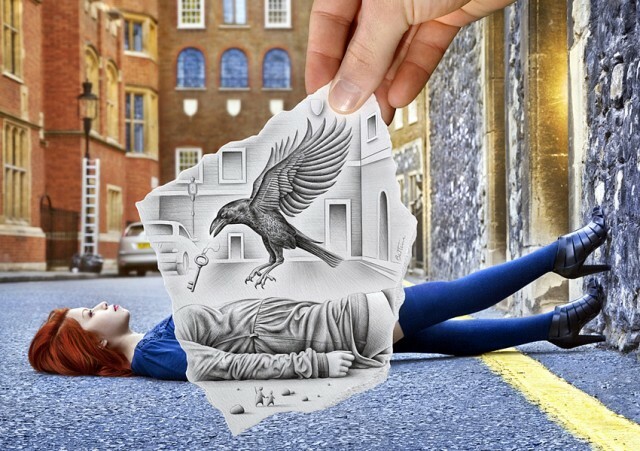 He includes people, places, animals, buildings, portraits and covers political and sensitive issues. 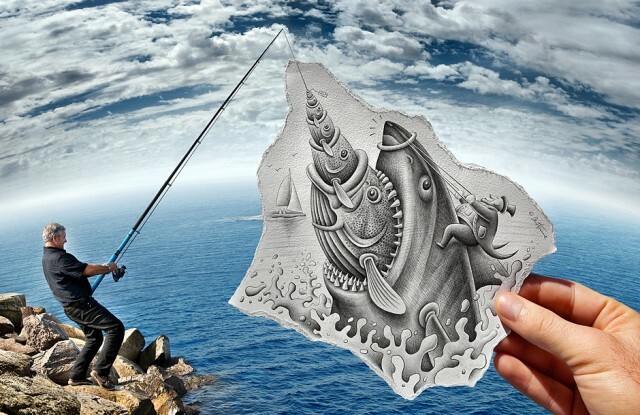 Sometimes he disguises his commentary behind visual metaphor (see the fish) but even if they message doesn’t reach you, the art will give you pause to look a moment and smile at the combo of photo and drawing in a new way.